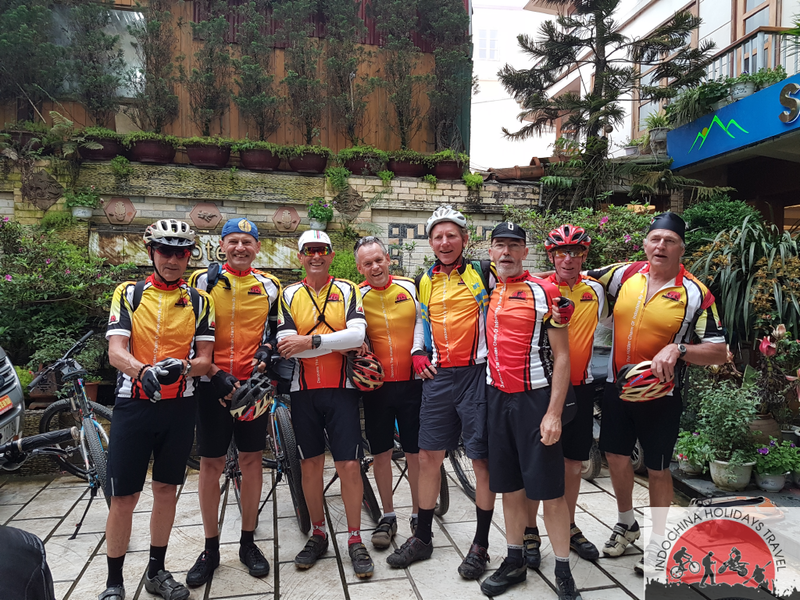 Indochina Bike Tours has TREK Marlin 6 and 7 mountain bikes available in sizes ranging from 13 inches to 21 1/2 inches. Our tours include bike hire in the tour price and we offer bike hire as a supplement in case you prefer to bring your own bikes. We use TREK mountain bikes because they are high quality, durable pieces of equipment . We like the versatility and durability of the mountain bike as it has been designed to cope with different types of terrain and riding. Even on our road trips, the asphalt can often be broken or potholed, and there are usually unsurpassed sections included, so mountain bikes and are the most suitable. They also have the gears to cope with the hills . Bikes are not only available for use during our tours but are also available for general hire from our operations office . In case you want to go it alone or just need a bike for a day, the following are rental prices per day and helmet included . Please Note: We require a cash or credit card deposit of USD400 for each bike rented. 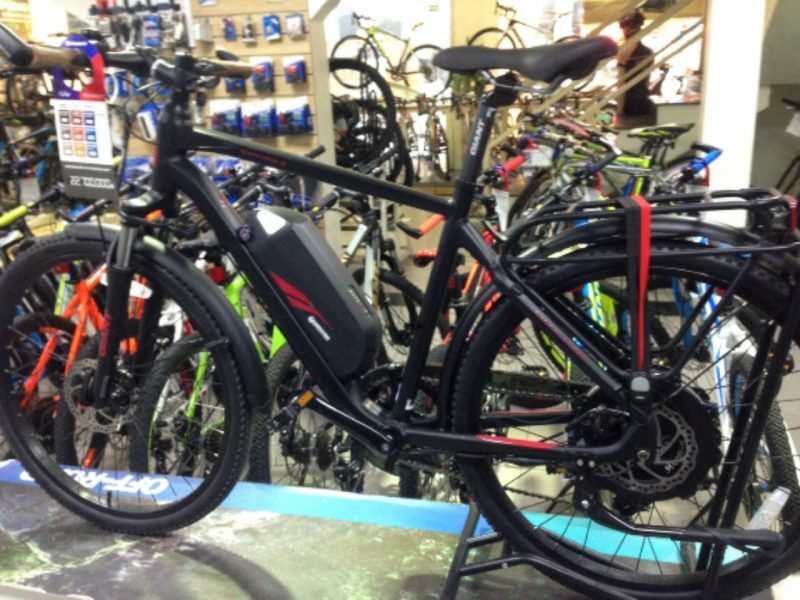 E-bike for rental – Cost is 25 USD per day . Renting bike from our store. Renting one of our bikes, not only saves you hassle but means you have more luggage allowance available. Our bikes are never more than three-years old and are always fully serviced before a trip. We always carry spares for every emergency and plenty of extra tubes. We supply helmets with all our rental bikes and the luggage rack for free renting. But you may want to consider bringing your own if you are taking a long tour as helmets can be a personal thing and we cannot guarantee a perfect fit. All bikes come with water bottles, and ladies will get a special ‘ladies saddle’. We fit toe-clips but you might like to consider bringing SPD clip pedals if you use them. Some people also like to bring their own saddle. Why Bringing Your Own Bike…? There’s no bike like your own and many people choose to bring their own bike on our tours. We insist that you make sure your bike is well serviced before joining a tour, as there is nothing that infuriates a leader more than a bike in constant need of repair. Although we recommend mountain bikes, hybrid bikes and tourers are also suitable for any tours NOT listed as mountain bike tours. Rigid front forks are also usually fine on most tours, however thin-tyred racing bikes are not appropriate on any of our tours. For all off-road mountain bike tours, mountain bikes are the only suitable bikes and front suspension is recommended . Our detailed fact sheets will contain information on the appropriate bike to bring for each trip as well as advising you on the best types to fit. How taking a bike on the plane…? Most airlines will accept a bike as part of your total luggage allowance – i.e. your bags plus the bike should not exceed the luggage allowance. This varies with the airline and the route; as a general rule the limit is 20kg, but the exact amount is shown on your ticket. A boxed bike typically weighs about 16kg, which does not leave much space for your luggage. Also we have a van for hire ( Mini van for 1-6 riders with 6 bikes and luggage ) so price is 125 usd per day . ( Included driver and petrol ( fuels ) and all meals and accommodation of driver ).